Does the keto lifestyle and alcohol go hand in hand? This is a question that many of you on a keto diet, especially the ones newly introduced to the diet might have on your mind. A common point of contemplation for many keto-ers, it doesn’t hurt to learn as much as we know about the keto diet and the implications our alcohol-preferring lifestyle might have on it. 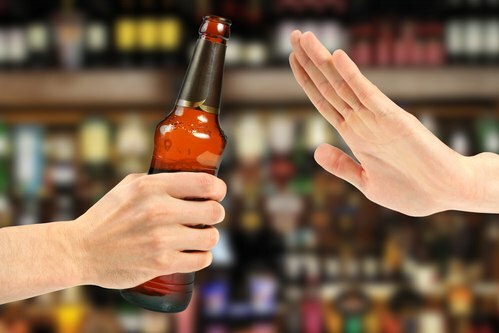 Even though you might not be hooked to alcohol, it plays an important role in our social interactions. Talking and bonding over some drinks is one of the most common things you hear. However, a low-carb diet, like keto, can cause you to change how much and what you drink, to ensure that you don’t cheat on your diet and you get to satisfy your alcohol cravings, too. To understand how alcohol might impact your keto diet, you will need to understand the mechanism of the keto diet well. Let’s start at the very beginning. The word ‘keto’ is derived from the word ‘ketones’ which are small fuel molecules that the body produces when it burns down fat. Ketones are an alternative fuel source used by the body when glucose (blood sugar) is in short supply. The metabolic process through which fat in the liver is burned to produce and fuel the tissues in our body with ketones is called ‘ketosis.' Ketones are produced when the body has a short supply of glucose that is produced when proteins and carbs are broken down. So essentially, a person who is on a low carb, low protein, and high-fat diet can experience ketosis and increased production of ketones. The keto diet has become a popular diet in the current times as one who can help you burn off fat effectively. This happens by cutting off carbs from your diet. The moment you do so, there is very less glucose in your liver that needs to burn out and as soon as your glucose levels are depleted, your body automatically switches to burning fat to access more fuel to help the body run its metabolic process. Thus, a keto diet gives you faster access to your fat deposits and helps you burn them off more efficiently. The ketogenic diet, therefore, is considered one of the fastest ways to maximizing fat-burning. Carbs are often considered essential as brain fuel. However, the fact is that the brain can efficiently run, even on ketones. The body stores carbs that are sufficient to fuel the body for just a couple of days. So, if you are fasting or go on a no or low carb diet, then the body will soon run out of carb to burn and fuel the body and also the brain. The body could also switch to the muscles in the body, as protein when broken down also results in glucose. This method would, however, be more inefficient and would take longer to work. Thankfully, our bodies have evolved in a way that skips to the next more energy efficient way to fuel the body, which is ketosis. In this way, the brain runs on ketones, just like the rest of the body. It is also believed that the brain runs even better, and you feel even more focused when it is running on ketones. In fact, it is known that ketones are beneficial for people suffering from conditions such as epilepsy, Parkinson’s disease, Alzheimer’s disease and other cognitive disorders. This might spark the question that a keto diet could keep a person focused even when they are on alcohol? However, this couldn’t be further from the truth. People on keto diet often experience the effects of alcohol, such as feeling dizzy and disoriented, sooner than their non-keto counterparts. This again has a lot to do with the order in which the body breaks down food and drinks ingested by us. So, is it okay to consume alcohol while on a keto diet? Alcohol comes with its own set of rules when it enters keto zone. The reason being, the carb content in them. Alcohol is not a necessary food element when it comes to the human diet. In fact, it is considered toxic to the human body. It also happens to be the fourth of the macronutrients preceded by Fat (9 calories per gram), Protein (4 calories per gram), and Carbohydrates (4 calories per gram). However, unlike its counterparts, alcohol calories (7 calories per gram) are mostly empty calories, that is, they are not adding any valuable nutrients to our body’s growth or replenishment. As such, if you think that alcohol might be benefitting your body in a good manner, you need to think, again. As mentioned earlier, alcohol really doesn't add any essential nutrients to our body. Instead, alcohol molecules which are both water and fat soluble, end up reaching each and every part of your body, including your brain. It is when it hits your brain that these molecules act their part in slowing down the signals from the brain that makes you sluggish and makes it difficult for you to walk or talk. This is also the reason why alcohol has often labeled a depressant as it slows down various bodily functions, including fat burning. When you ingest alcohol, considering the body sees it as a toxin, it wants to metabolize it, as quickly as possible. If you are on a carbohydrate-rich diet, the body will keep breaking down the carbs while metabolizing the alcohol. In this process, the alcohol is metabolized at a slower speed. When alcohol undergoes metabolism, it travels fast to different parts of the body and to the brain, thus causing our speech to slur and making it difficult for us to walk. However, when the alcohol is processed slowly due to the carbohydrate hold up in the liver, the molecules take their own time to reach the brain, which brings in the signs of intoxication a little while later. Now, when you are on a keto diet, your liver already has limited carb access that needs to be burned off for body fuel. In fact, if you are maintaining your diet to a tee, the chances are that your liver is burning off fat, directly, thereby releasing ketones for the body to run on. When you add alcohol to this fat-dependent liver, it takes up the task of metabolizing the alcohol first on priority, due to which the molecules are broken down faster and they make their way to the brain faster, as well. This is the reason why people on keto diets often mention they are incapable of handling alcohol, the way they did earlier before they went on a keto diet. 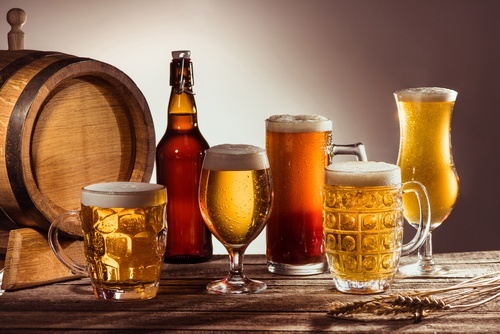 Added to this is the fact that many varieties of alcohol themselves contain carbohydrates, given the ingredients, they are composed of, for example, beer is often referred to as ‘liquid bread,' given the amount of rapidly digestible carbs it contains. One serving of beer could contain more than or equal to 13 grams of carb, which is a lot when you are on a keto diet. This does not mean you cannot treat yourself to an occasional drink or two. The next section talks about the alcoholic drinks that are safe for you to consume without throwing you off your keto diet and the ones you should steer clear of. Alcohol is most certainly not a weight loss superfood/drink. Apart from the fact that it reduces the rate at which fat burns in our body it also, in most cases, is accompanied by foods that are rich in carbs, such as chips, salty savories, pizza, among others. 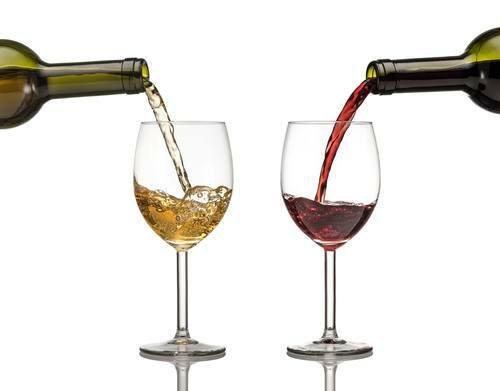 So, if you are on a keto diet, a single evening of drinking wine or beer along with refreshments that come along, could take you significantly backward on your health track. Even if you are steadfast in your resolve of not consuming carb-rich food, alcohol entering your ketosis-friendly body could quickly spin your mind and resolve out of control, making you snack mindlessly. Whenever you consume alcohol, make sure you are not on an empty stomach. Eat well before you order that first drink and make sure you order one of the following to help remain faithful to your keto diet. Pure spirits are the perfect alcoholic drinks for people on keto diets, as these contain zero carbs when ingested sans mixers. 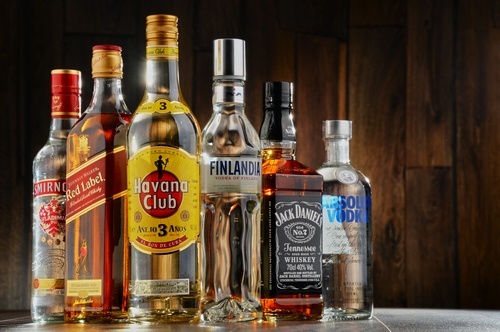 Whiskey, gin, rum, cognac, brandy, vodka, and tequila can be consumed without any inhibitions as they contain zero carbs. 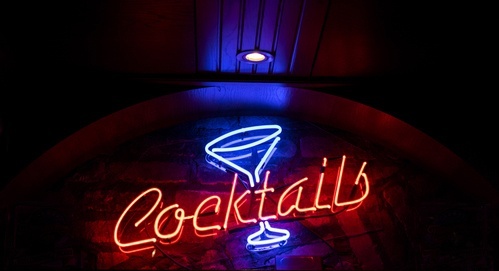 However, the rule does not apply when you club these pure spirits with sugar-sweetened drinks and mixers or have them in the form of cocktails. To help them keep their original zero carb tag and yet make them more palatable you could add lime and soda water to vodka, instead of orange juice. There's a common misconception that gin and tonic are free of carbs. This particular drink is loaded with carbs, 16 grams per serving, to be exact. You could use one of the mixers listed below to keep your glass of spirit, as keto-friendly, as possible. Steer clear of alcopops and wine coolers as they have massive amounts of sugar and alcohol in them. In fact, they are just a sugary soda with alcohol in them. A bottle of Smirnoff Ice contains 31 grams of carbs, while a Bacardi Breezer contains 39 grams of carb per serving. The popular alcoholic drink, worldwide, also happens to be rich in carbs. However, some brands do manufacture beers with 1.9 – 4 grams per serving of 355 ml (12 ounces) bottle. Also, if you like light American beers, then you are in luck as most of them have low carb content, hence perfect for keto diets. You can give Bud Select, Michelob Ultra, and Miller 64 a try, to start off with. Wine is generally considered okay for even people on keto diets. It must be noted though that dry wines are the most recommended wines when you are on a keto diet. Sweet dessert wines like Moscato, port wine, and sherry contain more calories and carbs, hence should be avoided, as much as possible. 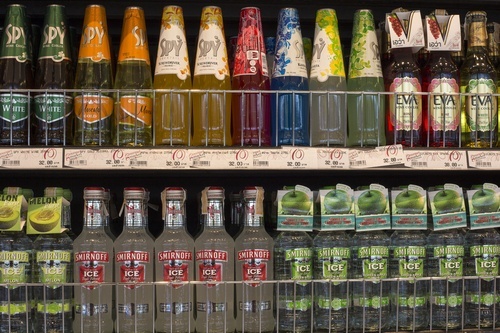 If you are wondering about what mixer would be the right choice to go with pure spirits and one that does not add carbs to your carb-free drink, then you can choose from seltzer (1 cup), diet soda (12 ounce) , sugar-free tonic water (1 cup) or crystal light drink mix (half teaspoon), all of which contain zero carbs. A keto diet does not require you to go off alcohol forever. You can treat yourself to an occasional drink, every now and then. Knowing which drinks suit you and your diet the best can help you maintain your diet while satisfying your alcohol cravings, as well. While one serving of wine can be had on a fairly regular basis by people who are on a keto diet, try to stick to dry sparkling wine or champagne, or dry red or white wine. When it comes to pure spirits, a serving of whiskey can be enjoyed without going on a guilt trip, and a dry martini makes for the best cocktail for people on these diets. Also, always makes sure to eat a keto-friendly meal before drinking, choose the right alcohol, and always follow the ‘one drink max’ rule. 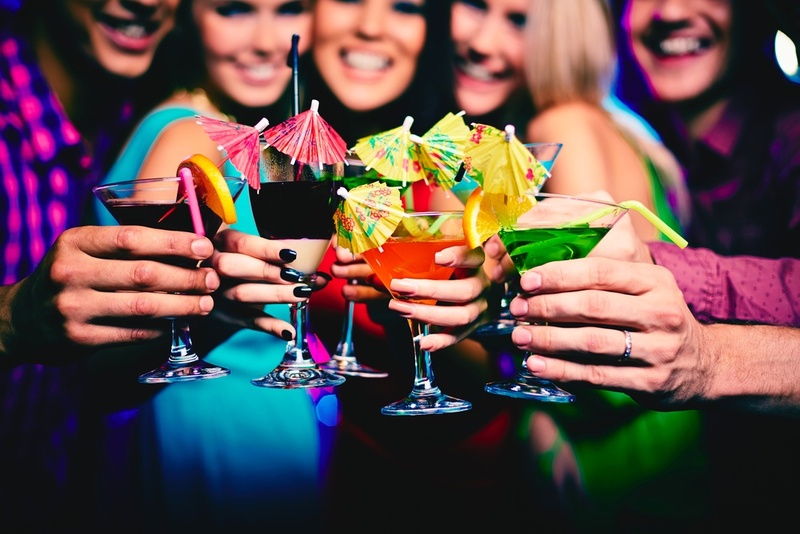 This should make sure you are on the right track when it comes to clubbing alcoholic drinks, on a keto diet.